​Delta One customers flying from the U.S. to Europe will be able to choose their meal in advance, starting June 1, 2018. The move comes following strong customer feedback about pre-select meals on test routes from Atlanta and New York-JFK to Europe, and is part of the airline's focus on personalizing the onboard experience. Select routes departing from Atlanta, Detroit and Los Angeles bound for Asia and Australia will also be included in the expansion that gives customers the peace of mind that their first meal choice is available on board. "We want to make dining at 30,000 feet feel like dining at a favorite restaurant," said Lisa Bauer, Delta's Vice President – On-Board Services. "Giving customers the ability to choose their meal in advance is a big part of that. It speeds up the process for our flight attendants too, giving them more time to spend with customers." To participate in pre-select, customers must have a valid SkyMiles account listed in their flight booking. Customers who are not already enrolled in the SkyMiles program can sign up for free at delta.com/enroll. Eligible customers will receive an email communication three days prior to their flight asking them to choose an option from Delta's latest seasonal, regionally-influenced menu. 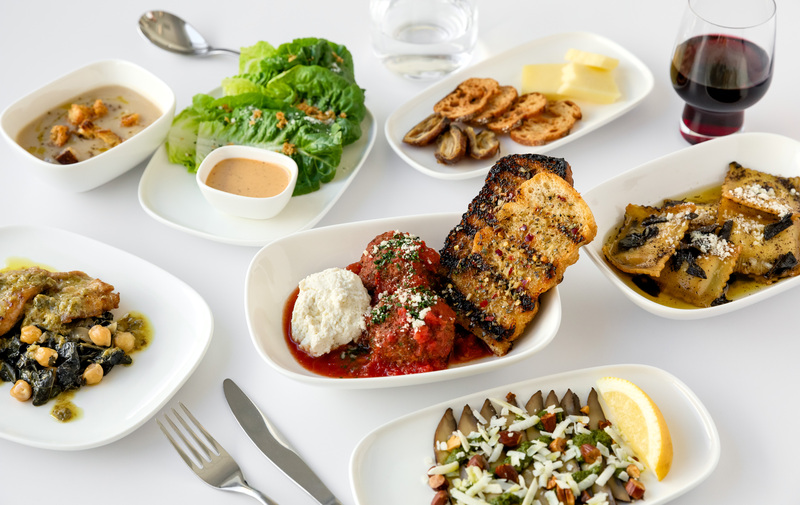 On select routes, Delta One customers will enjoy chef-curated meals from James Beard honoree Linton Hopkins out of Atlanta, select chefs from Danny Meyer's Union Square Hospitality Group out of New York, and chef duo Jon Shook and Vinny Dotolo out of L.A. Meal offerings will be complemented by a selection of seasonal wines curated by Delta's Master Sommelier, Andrea Robinson. This expansion is part of Delta's multi-billion dollar investment in the onboard customer experience that includes a cabin modernization program featuring new seats, seatback entertainment systems with free entertainment, free mobile messaging, high-capacity overhead bins, access to Wi-Fi on nearly all flights, free Main Cabin meals on select flights, upgraded Main Cabin snacks, the addition of sparkling wine, an Alessi-designed collection of serviceware, Westin Heavenly In-Flight Bedding, chef-curated meals paired with wines hand-selected by Master Sommelier Andrea Robinson, noise-canceling LSTN headphones and more. Over the past several years, Delta has also led the industry on a number of innovations in the customer experience from curb to gate, like launching optional biometric check-in at all domestic Delta Sky Clubs, replacing ID checks at touch points with fingerprint scanning, testing a redesigned gate and boarding experience, biometric-based self-service bag drop, RFID baggage handling, automatic check-in and bag tracking via the Fly Delta mobile app, more efficient and high-tech automated screening lanes and a groundbreaking app that helps Delta pilots avoid turbulence for a more comfortable flight. Additionally, Delta has made significant investments in the customer experience on the ground. Over the past 18 months, Delta announced a new Delta Sky Club coming to Austin-Berstrom International Airport in 2019, debuted renovated Delta Sky Clubs at Newark Liberty International Airport and Minneapolis-St. Paul International Airport, expanded the Delta Sky Club at Raleigh-Durham International Airport, and opened new flagship Delta Sky Clubs at Hartsfield-Jackson Atlanta International Airport and Seattle-Tacoma International Airport. Delta has also announced airport enhancement programs in Atlanta, Los Angeles, New York and Salt Lake City.